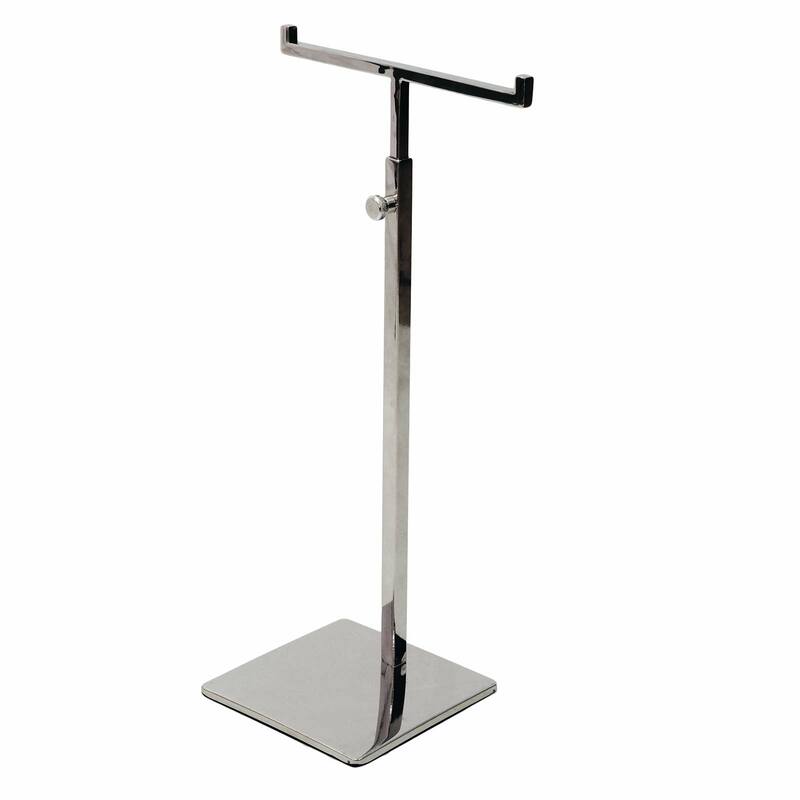 Stylish 2-Arm stand manufactured from Stainless Steel ensuring a strong and stable display. 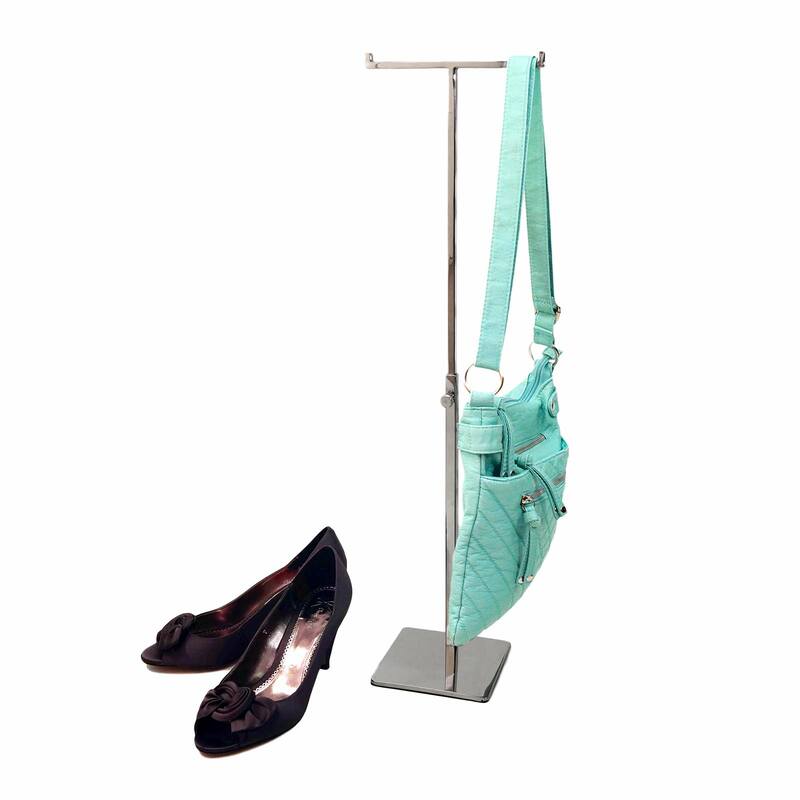 Ideal for handbags, purses, scarves, lanyards, necklace chains and other accessories. 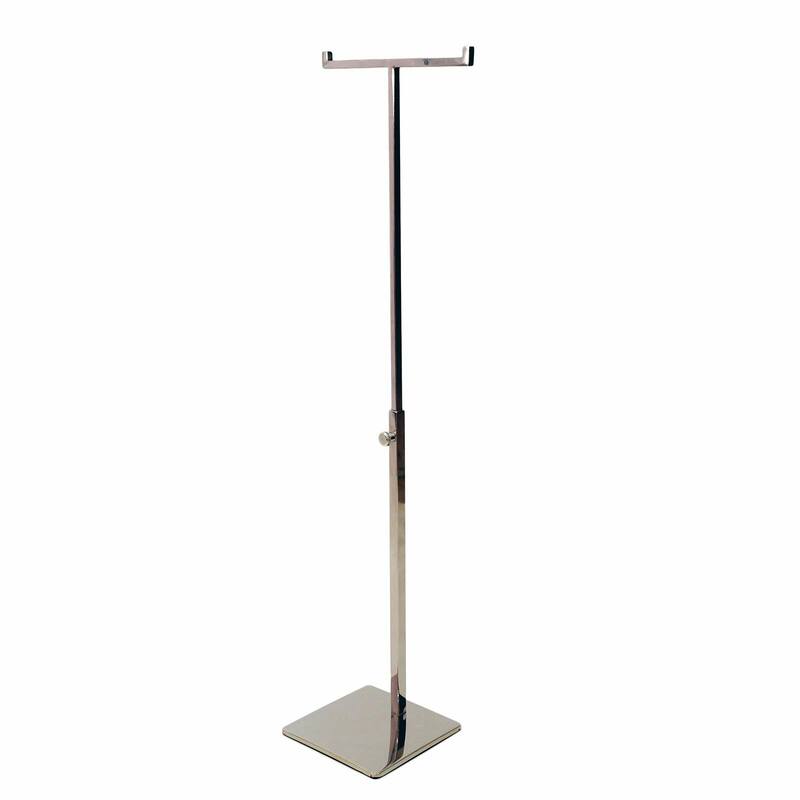 The upright is adjustable in height allowing for different sized products. Weighted base allows for heavier items to be displayed. 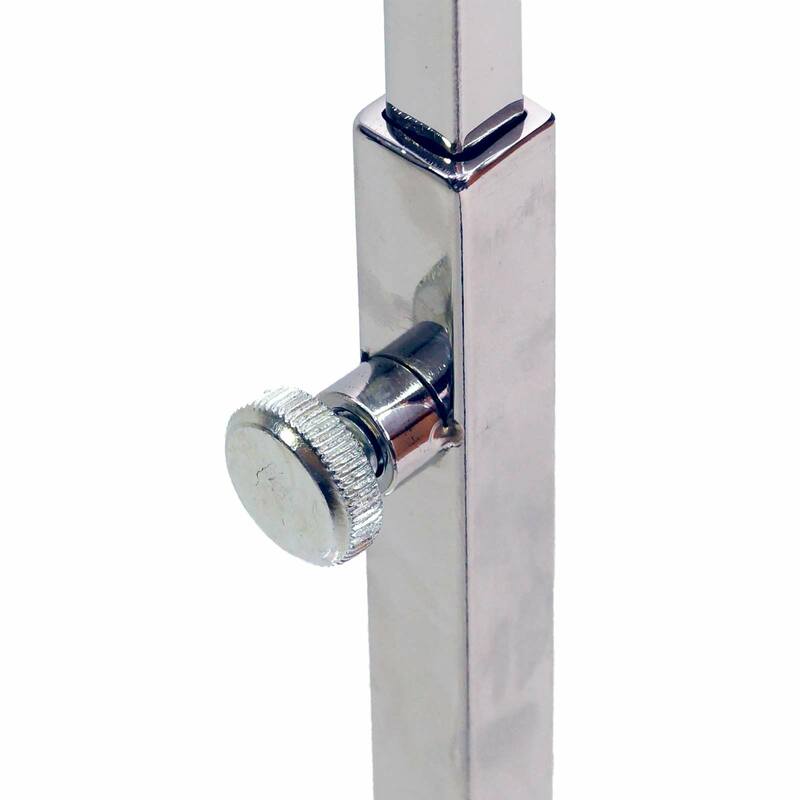 Base is supplied with protective film cover. Please remove before use. Minimum: 378mm / 37.8cm / 14.75"
Maximum: 630mm / 63cm / 24.75"
190mm / 19cm / 7.5"
Width: 129mm / 12.9cm / 5"
Depth: 129mm / 12.9cm / 5"
Maximum: 610mm / 61cm / 24"
Minimum: 370mm / 37cm / 14.5"